Are Remarketing Ads A Good Fit For Your Business? One of the advertising options Google offers which small businesses commonly fail to take advantage of is re-targeting. Re-targeting helps advertisers avoid missed opportunities by providing ongoing messaging to prospective customers who’ve previously visited your site. When a user clicks on an ad which is part of a re-targeting campaign Google places a snippet of code or “cookie” in her browsing data. She then becomes eligible to see advertisements from the site she previously visited through an Adwords ad. When she leaves your site without buying anything, for example, remarketing helps re-connect you with these potential customers. Remarketing lets you delivering a compelling message or offer that will encourage her to return to your site and complete a purchase. 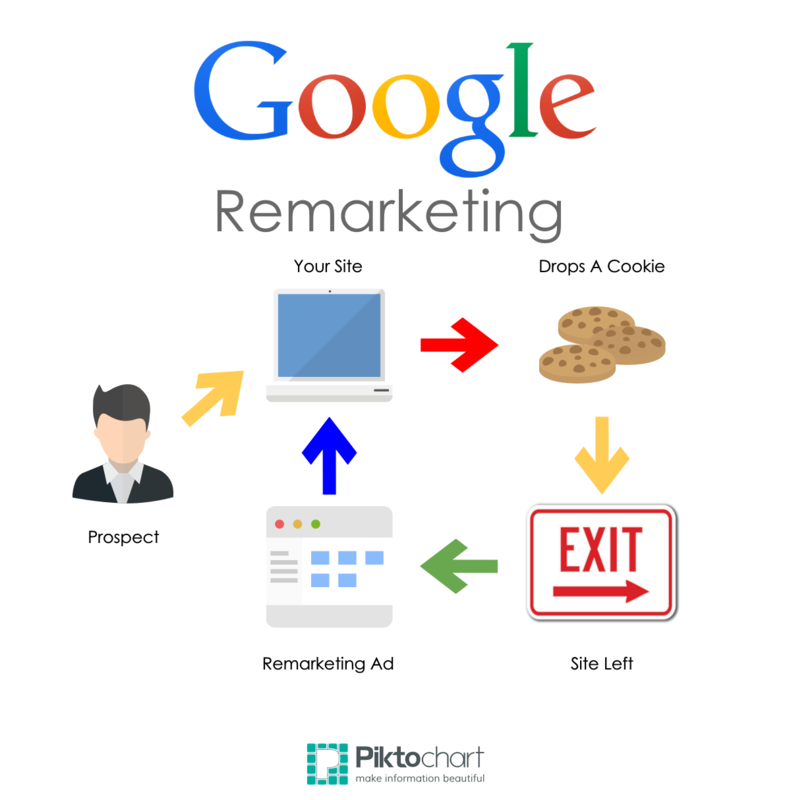 Who Can Benefit From Remarketing? Whether you’re looking to drive sales activity on your site, increase registrations, or promote awareness of your brand, remarketing can be a strategic component of any campaign. By bringing visitors back to your site who have previously shown interest in your products and services, remarketing can drive return on investment (ROI) for all types of advertisers. There are a few requirements to running a successful remarketing campaign. First, you need a steady stream of prospective customers joining the list (usually by clicking on one of your Adwords ads). If your current campaigns only generate a few clicks per day, there won’t be many opportunities to serve your remarketing ads. If your Google advertising budget is at least a few thousand dollars per month, remarketing is probably right for you. When you’re ready to start improving conversions with remarketing you need to craft an offer. Converting users who were not persuaded to buy your product, join your list, or complete another conversion goal the first time they visited your site is easier when you offer a special discount or free gift. Total Web Services will help design the remarketing ads that appear on Google network sites. Our experienced Pay Per Click Managers will handle all of the details. Excluding low performing sites, managing your CPC or CPC bids, and customizing your audience are all critical factors in the success of your campaign. When you launch a remarketing campaign with Total Web Services you can rest assured that your campaign is efficiently reaching your target audience.